Current selected tag: 'hand drawing'. Clear. 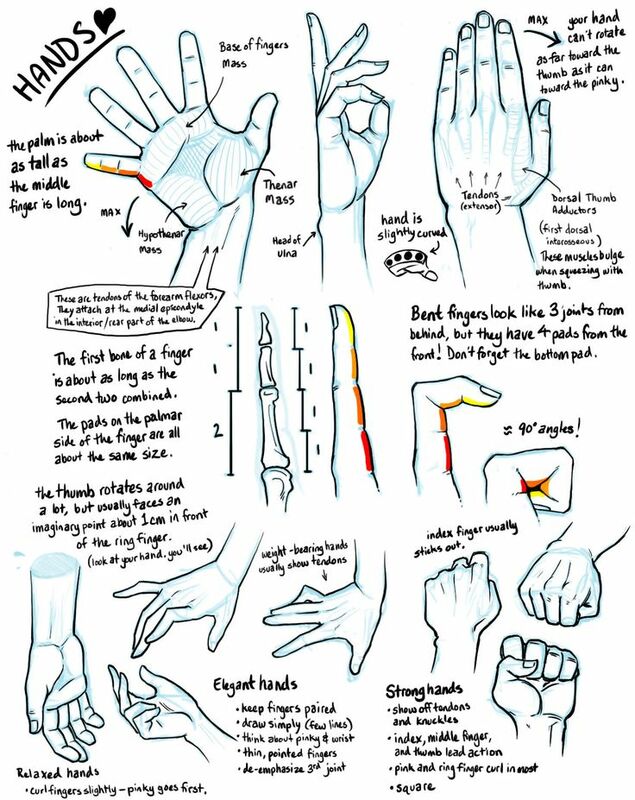 This drawing reference guide is for anyone looking for a quick and easy guide that explains the anatomy of the human hand at various angles. 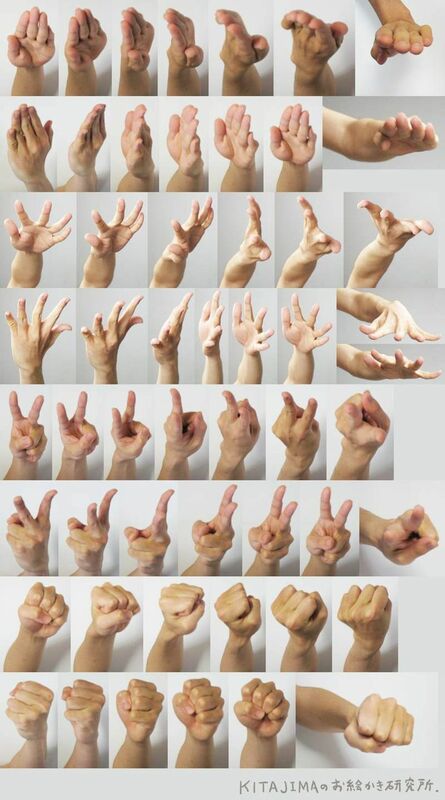 If you're looking for a comprehensive hand drawing reference guide, look no further. 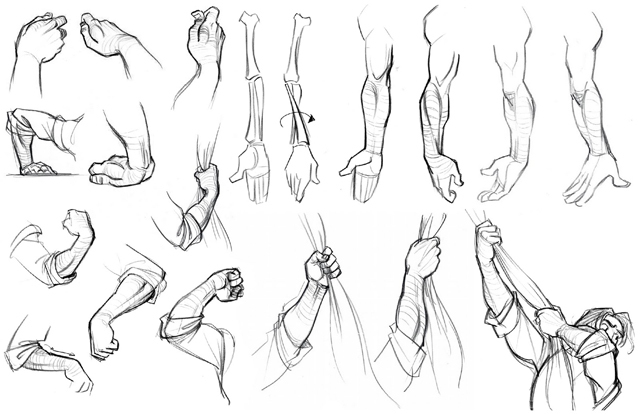 This guide explains everything you need to know about drawing hands in great detail and covers aspects such as bone structure, proportions, range of motion, and much more. Check it out. This hand drawing reference gives an up-close look at the anatomy of the hands and fingers in their natural gesture and when holding objects. 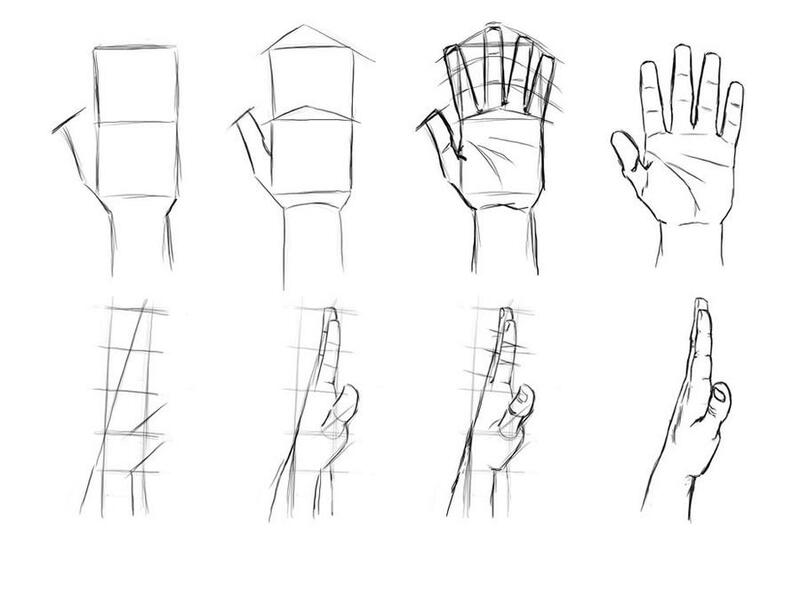 The guide also contains a few guidelines that can be used the proportion the different sections of the hand. This reference guide attempts to simplify the process of drawing hands, legs, and feet using shapes and easy to follow tips. If you're trying to find a quick go to guide for drawing these parts of the anatomy, this tutorial is a good place to start. 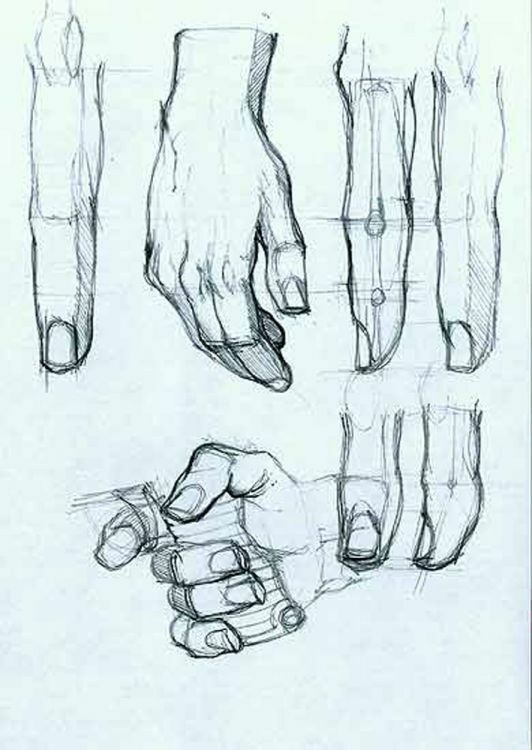 In order to draw the human hands, an artist must be able to look at the hands as a series of basic shapes and lines. 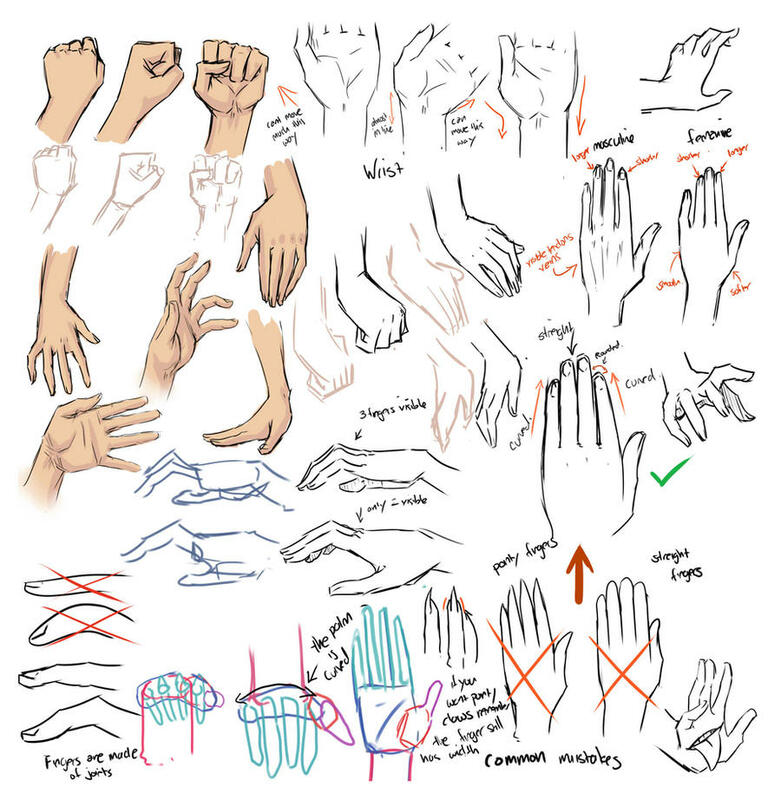 This reference guide does an extremely good job of describing the features of the human hand and provides tips you can follow to get the right shape and form to your hand drawings. Hands can be one of the hardest things to get right in a drawing, especially when you want them filled with just the right type of expression. This hand-drawing reference was created by DeviantArt's chamoth143, and has all the tools you need to get your hands looking perfect.